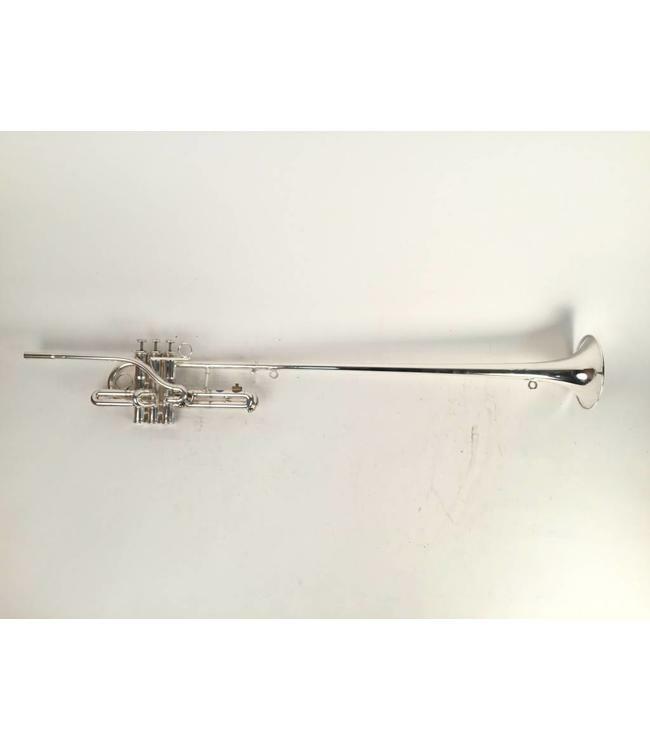 Used Roy Lawler Bb herald trumpet in silver plate. Instrument is in good condition with dings and dents throughout bell and 1 dent in leadpipe. Date of production is 1991, lyre hold was moved and includes fanfare banner rings. Includes case.